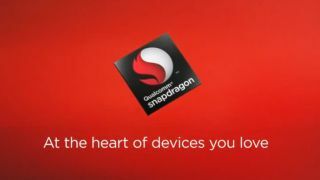 Qualcomm has announced its latest smartphone SoC (system on chip), the Snapdragon 801 processor, which brings a whole host of enhancements to power the next generation of handsets. In terms of what the Snapdragon 801 - an enhanced version of the well known Snapdragon 800 - can offer, Qualcomm claims it'll provide up to a 45% faster camera sensor, 28% better graphics, 14% faster CPU, 18% faster DSP and 17% faster memory. What does that mean for you and me? Well our smartphones are about to get a whole lot faster and the user experience is also going to benefit from larger cameras, better gaming and a general performance boost. Battery life is also said to have been improved, with further development on power consumption making the Snapdragon 801 less demanding on power packs. So when will we see the first Snapdragon 801 toting smartphone? Well Qualcomm wouldn't be drawn on any particular devices, but we were told it'll arrive "very, very soon" - perhaps even at MWC 2014? We'll be keeping our eyes peeled.